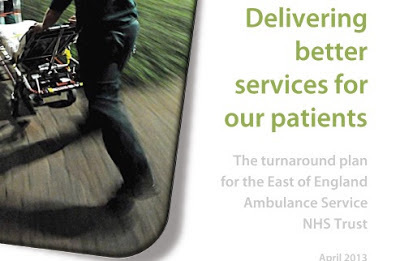 The Broken Paramedic: Is the EEAS Turnaround Plan Just a Fantasy? Is the EEAS Turnaround Plan Just a Fantasy? Earlier today, BBC Radio Five Live covered the ongoing crisis at East of England Ambulance Service. The programme is well worth a listen whilst it is available on BBC iPlayer, with accounts from an anonymous whistle-blowing paramedic (my hat is off to this gentleman for his very professional and earnest delivery), the bereaved mother of a baby who died allegedly as the result of ambulance delays, and an interview with EEAS chief executive Andrew Morgan. I had been scheduled to appear on the show but was dropped at the last minute (I had spoken briefly on 5 live’s Weekend Breakfast at 0640 - 41m 45s in). I was deeply disappointed by my eleventh hour exclusion - this felt like an opportunity missed to offer an honest and informed overview as well as the chance to discuss how the general public and the government need to take some responsibility rather than just scapegoating the ambulance services whilst absolving themselves. However, the silver lining was that my preparations did give me cause to read through the recently released East of England “turnaround plan”. 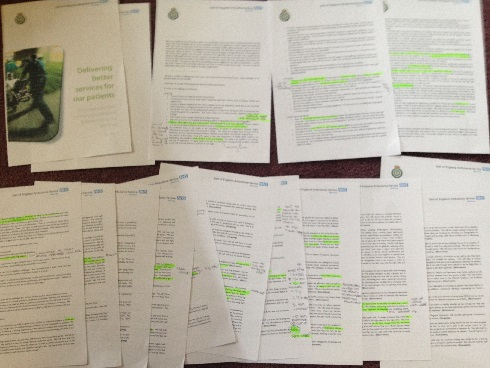 Mr. Morgan 's document, entitled 'Delivering better services for our patients' made for a thought-provoking and inspirational read. I can honestly say that my first read of the document gave me a sense of vindication and of hope. Vindication because there is a refreshing candour to the opening segments, in which many of the problems which I have written about previously on this blog are identified; lack of resources, untenable working conditions, misdirected priorities, leadership which is either delusional, arrogant or absent and many other sins are all laid bare. I felt hope because, if all these sins are addressed and if Mr. Morgan's vision of EEAS's future can be realised, then I will be living in a part of the country in which I can have confidence in the emergency pre-hospital healthcare services. A confidence which is currently not deserved. 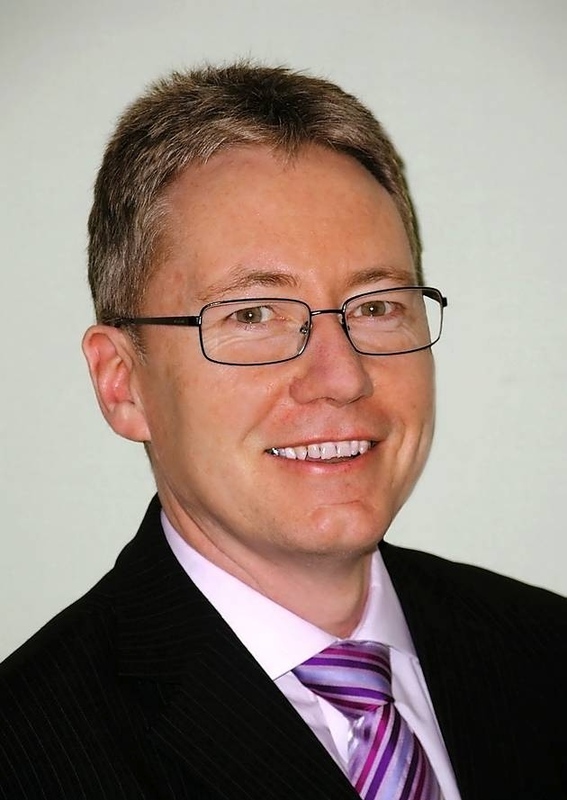 “We need to make progress on all areas of this turnaround plan in order to recover the health of the organisation and deliver sustainable performance and high quality services for our patients. We know we work in changed times, we know that this is having an impact on the lives of our staff and we know that we are failing some of our patients. We have to change. We have to demonstrate better leadership. We have to support Staff better. We have to provide more resources for front line service delivery. We have to deliver good clinical outcomes for our patients. We have to ensure we make better decisions about how we use our valuable emergency response vehicles. We have to use our clinical skills better to guide patients to access the health service in a way that will support their long term health. We believe that by doing this we can keep more people at home, when it is appropriate to do so. We must push for investment in the service when this has been proved to be justified and we must create a service that delivers what our patients need. We must support staff to make changes locally and we must listen to patients more. Powerful, stirring words indeed. The kind spoken by a leader who can perhaps rally dispirited troops and give them belief in the cause once again. Right before he sends them over the top and into the enemy guns he secretly knows they cannot defeat. The reason I say this is because, sadly, I do not believe that Mr Morgan's well-meaning turnaround plan can possibly work. This is no reflection on him - he can only work with the tools and resources he is given, but I believe the government taskmasters to whom he answers have set him up for failure. This will apparently be achieved by “recruiting to our vacancies, reducing staff sickness and reducing our spend on private ambulances” and “recruitment to our additional posts” but I am concerned that the funding figures don't add up. 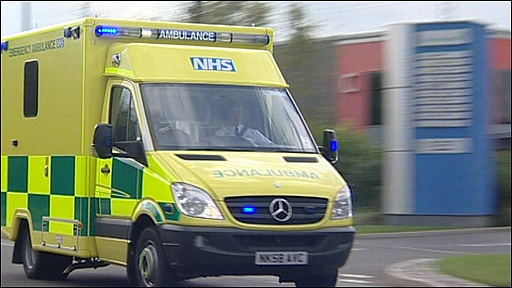 In September last year, public outcry regarding reduced ambulance coverage in North Norfolk resulted in £3m being found which enable 2 (nearly) full-time Double-Staffed Ambulances to be reinstated. So going by that, a single full-time DSA costs just over £1.5m to staff and run for a year. The turnaround plan states that approximately £5m can be found from elsewhere to fund this initiative, leaving only the private ambulance spend and the nebulous concept of reducing staff sickness (overtime cover costs?) as the source for the remainder of the total £37.5m (£1.5m per ambulance x 25) bill for these proposed additional vehicles. Even if the entire monthly private ambulance bill (an average of £750k) was redirected, that will still total less than £15m. As bad as staff sickness may be, I doubt the very optimistic plan to aggressively reduce this over a six month period will result in saving the remaining £20m. My scepticism is further compounded by the fact that earlier this year Mr. Morgan promised the “additional resources” of 15 ambulances and 200 staff, which turned out to be recycled old ambulances left unused due to staff shortages, and the promised staff (which did not appear in the timescale promised) were simply replacements for existing unfilled roles. It was all empty spin. That is not to say that Mr Morgan is attempting the same trick again and I genuinely believe that the reality check has finally reached the top. This is a broad and noble plan which promises fundamental cultural change—including repeated oblique references to addressing a senior management problem some might refer to as the 'Essex Mafia'-- as well as a significant uptick in available resources for the “core business” of 999 responses, and a greater respect for the front line staff. The problem is, it seems too good to be true, so it probably is. There will undoubtedly be “new funding requirements” if the plan is to succeed and I hope Andrew Morgan is setting the stage to make a watertight case for exactly that. I eagerly await the results of the “clinical capacity review” they have commissioned, which “will determine how much of any gap in resources can be filled by internal efficiencies and changing working practices and how much will need to be discussed with external stakeholders and commissioners.” The results are due “late May 2013”. My greatest fear is that this plan will be attempted without the resources necessary to see it through. 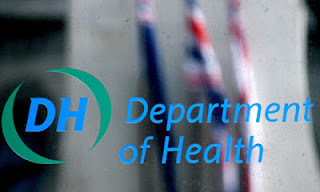 Without backing from the DoH and a government willing to do what is necessary to stop the rot, we will see partial implementation, leading to greater demand on dwindling staff already stretched far beyond reasonable levels. The fantasy will become a nightmare as we simply end up with another post-Bradley Report attempt to fulfil lofty ambitions using only the existing personnel, which will break them. How many broken paramedics do you need Mr Morgan?